The 2015 Chevrolet Equinox is bigger than compact SUVs like the Honda CR-V and Toyota RAV4, and offers a V6 engine and more rear-seat room in a bulkier package. It's also smaller and more fuel efficient than midsize SUVs like the Ford Edge and Nissan Murano, but with less cargo space. Looking for a 'tweener SUV? This is it. The most important thing about my equinox. Would be Its safety features. My Chevy equinox is the best vehicle that I have ever had. I feel extremely safe and I have peace of mind when having my family with me. The equinox has a bunch of safety features, such as OnStar capabilities, GPS, rear camera to allow you to see anything lower than the back window. Another great way to keep everyone safe is the seat belt system. As soon as any of the doors open the equinox senses the person and lights up the display to make sure everyone is wearing there's before the car is even started. I love how much room it has. There is no cramped legs on long road trips. The equinox fits 5 adults very comfortably, and still has a very large storage area for things like camping gear or even pets. to keeps your pets safe there is also places to secure them or their crate/carrier so they don't get thrown around or distract you while driving by hopping the seats to get close to you. They can also be used to secure your groceries so that delicate things like eggs don't get broken. The equinox has a very smooth suspension system, wonderful all wheel drive that will help in rainy or snowy conditions allowing you to get to very important meetings or help someone out who has had an accident anytime of year or weather condition. 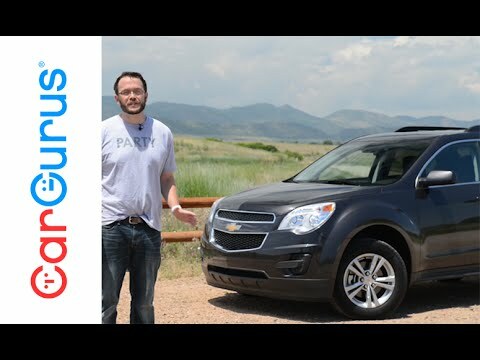 So I feel that the Chevy equinox is great for anyone with a family, anyone who loves to adventure or just wants to go for a very smooth ride. Good option for your family. The car runs very smoothly. I do not have any issues with braking or accelerating. I love the feature of hands free calling. This is not something I have had in the past and it is not offered in my other vehicle. I feel safe driving this car with my young child aboard. The trunk/hatch area gives me plenty of room to store a stroller and other items needed for my child. The spare tire is neatly stored and easy to access. We did have an issue with the starter at one point but it was an easy fix. Not sure where the issue had come from, maybe not driving it for a day or two? I am very happy with the size of this vehicle. It sits just high enough to feel comfortable without being too low to the group. The backseat is roomie for both a full size car seat and another passenger or two. Not sure how an additional passenger would fit if you had two car seats in the back. The car is dependable and I would recommend it to anyone. The biggest issue I have with this vehicle is the fact that there are no air vents in the back seat. Newer models may have that as an option. Had not considered how much I would have appreciated having this feature available. It would be great to have the option of hands free hatch opening for my own need of holding too many items at once. Great vehicle for the money but could use some updating! I had to buy my vehicle as a result of hurricane Harvey. I needed a larger vehicle because I have 2 large dogs. The Equinox was not the vehicle I was initially considering, but very close. I love how it looks; it is sleek, pretty, comfortable, and roomy. It has a lot of storage pockets/hideaways. It doesn't' t. Have the greatest pick-up - it is a 4-cyl engine, with an option for "eco" mode, which I use. I didn't experience a difference in the pick-up taking it off "eco" mode. There are 2 major disappointments: there are no vents nor a/c controls in the backseat. The Bluetooth is spotty; it drops in and out for no reason. It took my battery going dead and being re-charged for the Bluetooth to come back, but only for calls - not google maps. These two major disappointments probably would have changed my mind had I realized them at the time of purchase. I also wanted the backup assistant, and leather seats, but those options did not come equipped on this vehicle (it was on the original vehicle I wanted). It is been very reliable though, and I get a lot of compliments on it.